Happy Monday, everyone! I have finally managed to record the voice over (eep, my first ever!) for this video, and I'm so glad to have been able to upload it so quickly for you guys. This tutorial features the Halo Satin Styler in a hair tutorial, to get the incredibly chic messy chignon that the gorgeous Alexa Chung wore at the 2013 Grammy Awards. Check out some previous hair tutorials that I posted in collaboration with Herbal Essences! 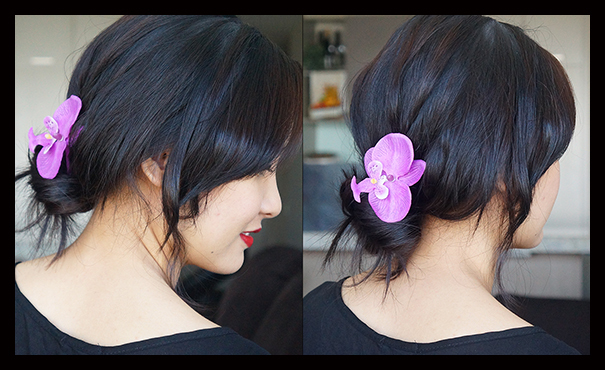 Here's a sock bun tutorial, and here is a more polished chignon tutorial.